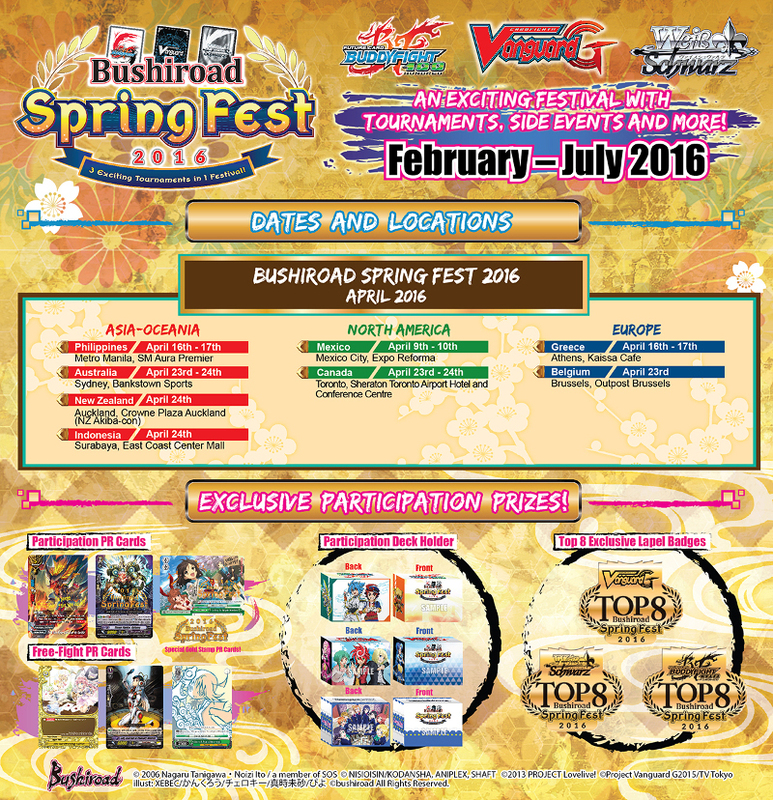 We’ve finally set foot into April, possibly the most action-packed month for the Bushiroad Spring Fest 2016! 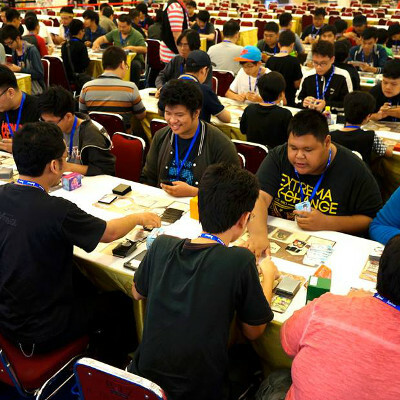 There will be tournaments happening at a whopping 8 locations all around the world over three weekends. 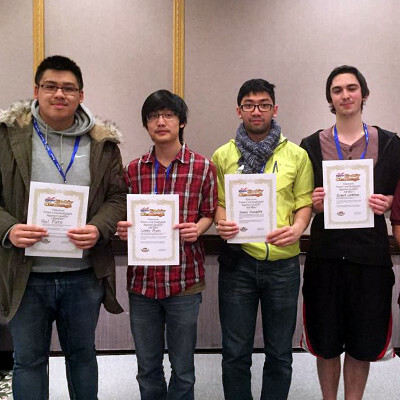 The Europe circuit will also be kicking off, with the first regional qualifier happening in Greece! Take a gander at the event schedule below, and don’t forget to mark your calendars if you’re looking to participate in one of these tournaments. We’ve been showcasing on Facebook and Twitter some photos from the first four Buddy Challenge events that have taken place in Atlanta (USA/Georgia), Vancouver (Canada), Jakarta (Indonesia), and Chicago (USA/Illinois) in the past few weeks! 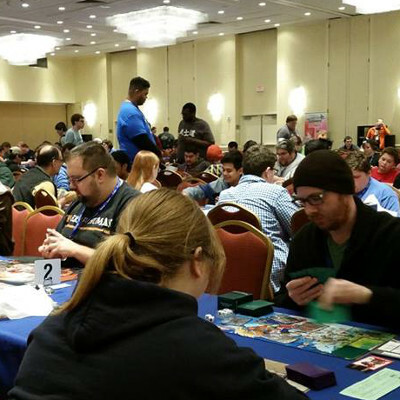 There was a great turnout at these locations, and we were witness to some truly spectacular matches between highly-skilled players. We also had a local Indonesian TV station, “Berita Satu”, reporting the event in Jakarta! 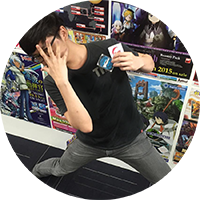 Thank you all for your support, and for making your way down to the various locations to take part in the Bushiroad Spring Fest! I’m sure you know that Star Dragon World, Magic World, and Dragon World are the top 3 most popular Worlds according to the recent “WEAR YOUR FAVORITE WORLD CAMPAIGN”. Apparently a slightly different trend is spotted on BSF2016 circuit! 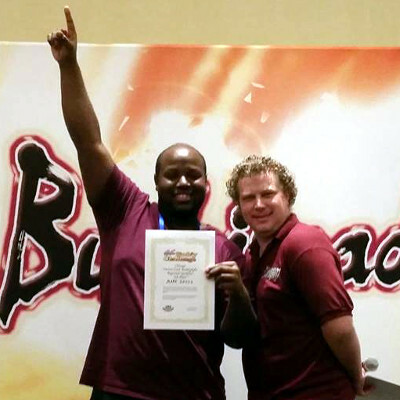 Below are the top 3 most played Worlds by Buddyfighters attending BSF Atlanta, Jakarta, and Vancouver combined. 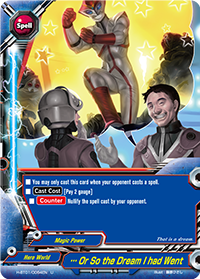 For those curious about the secret formulas for success, the winners’ deck recipes can be found here! 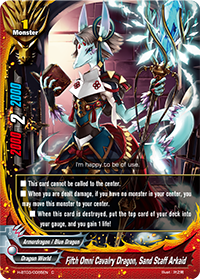 To round out this report, we’ll be taking a closer look at two outstanding decks that have piqued our interest and won their users a top-place finish! 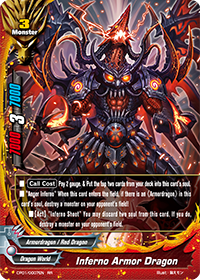 Dragon World has been a popular choice among our players in the previous few tournaments, and with the new Fifth Omni support, it’s not difficult to see why. 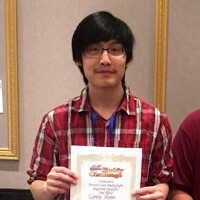 Corey’s deck is a great example of a balanced build with a clear emphasis on holding the field with “Crimson Battler, Drum Bunker Dragon” and “Fifth Omni Dragon Lord, Drum” with other strong cards like “Ninth Omni Brave Lord, Mukuro” and “Inferno Armor Dragon” to threaten the opponent with. 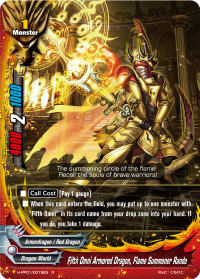 An interesting defensive combo also exists with “Fifth Omni Cavalry Dragon, Sand Staff Arkaid” and “Fifth Omni Armored Dragon, Flame Summoner Rando“, where you can use Arkaid to cover your centre, then using Flame Summoner Rando to retrieve it for use in a future turn. 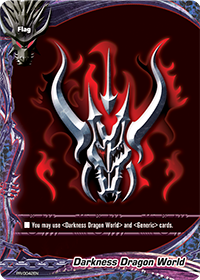 Their abilities also cause the player to take damage or result from the player taking damage, which synergizes beautifully with “Fifth Omni Dragon Lord, Drum”’s ability. 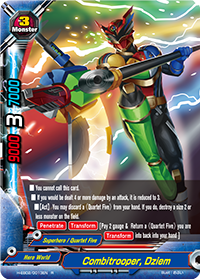 Another great combo piece here is “INV Seventh Omni Earth Lord, Twilight Count“, which will help you keep your life points healthy while also inflicting damage to your opponent. 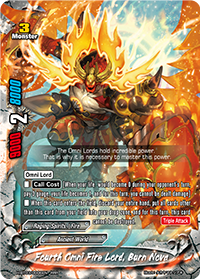 Like how “Fourth Omni Fire Lord, Burn Nova” was a staple in most decks before this, “INV Seventh Omni Earth Lord, Twilight Count” has become a new staple that have found its place in the game with its simple effect that can easily open a gap between your and your opponent’s life points. 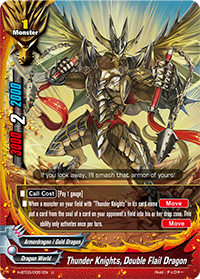 Another thoughtful inclusion is “Thunder Knights, Double Flail Dragon“. 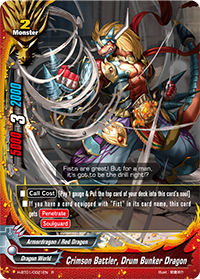 Taking into consideration the threat from Star Dragon World as well as other soul-heavy decks, Double Flail will definitely help to mitigate some of the threat. 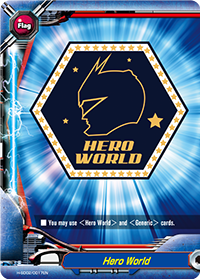 Among the Kaizerion decks that have made it to the top so far comes a Hero World deck built around the Quartet Five! There is beauty in simplicity – that’s exactly what this deck is about. 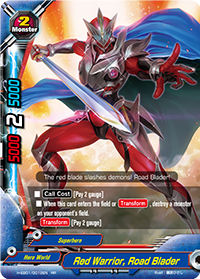 The 《Superhero》 team comes together to form a fierce aggressive deck that is complemented by pinpoint field removal cards like “Red Warrior, Road Blader“. There are more options in the sideboard as well for removal, such as “Fifth Omni Dragon Lord, Drum the Punisher“, “Decker Drum “SD”” and “Draw Away the Lackeys“! Apart from that, the deck also has nice utility options in “New Program! 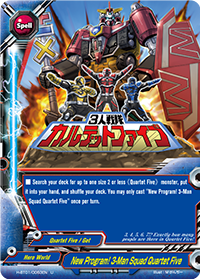 3-Man Squad Quartet Five” and “It’s About Time I Got Serious” for draw and search power, along with “…Or So the Dream I had Went” and “That is an Afterimage” to keep up the tempo and force your opponent to prepare multiple answers for your threats. 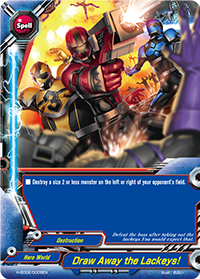 “Combitrooper Dziem” is the perfect candidate as a game ender for this deck, with its high power, destruction ability and [Penetrate]! Another great thing about it is that despite being a size 3, it has [Transform], so you can keep up massive pressure with it and 2 other Quartet Five members! 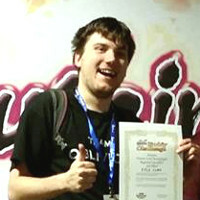 The sheer speed and force of this well-conceptualized deck brought its pilot, Kyle Clark, all the way up to 3rd place in the Atlanta qualifiers. That’s all for today, folks! In our next Bushiroad Spring Fest 2016 report, we’ll be reporting on trends in World usage, so do stay tuned for that! 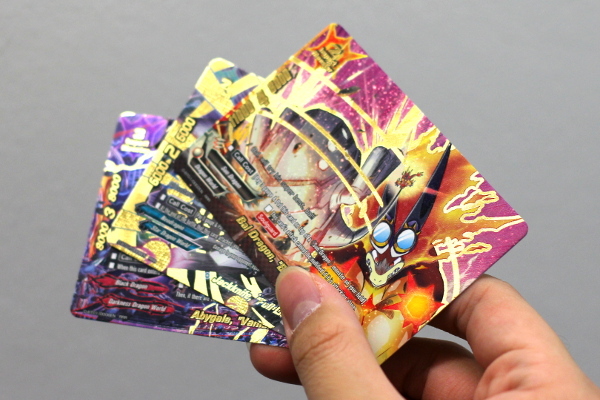 On a side note, our Triple D Booster Pack Vol. 1: Unleash! Impact Dragon!! samples have arrived and these foil cards are looking amazing! 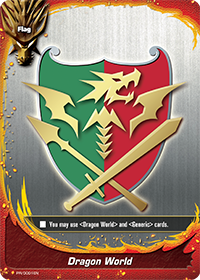 More to be revealed on the next Buddyfight Buzz!